With Southern Appalachian Wilderness Stewards, we are building a community through service and working to protect our public lands via a direct connection to place with on-the-ground work in the truly wild places of the Southern Appalachians. 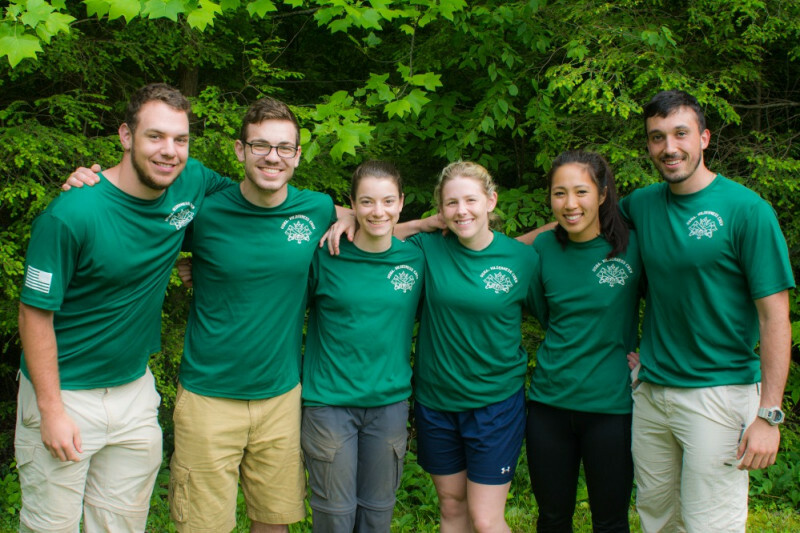 One of the ways that we build our community, and provide service to these wild places, is through employing the next generation of conservation leaders as members of a Wilderness Field Crew. These Crews work over the course of 12 weeks in the wilderness areas of the south, improving trail conditions that support the economies of the surrounding communities, while also connecting people to the values of wilderness. The crews spend up to 9 days at a time in the backcountry in service to the place, to the idea of wild places, and to each other. These are transformational experiences and your donation will help support these efforts. We recruit our crew members from local high schools and colleges, community outreach programs from across the region. Your donation goes to help fund the salaries of the crew leaders and crew members, to the supplies they need to work in the backcountry, and to feed them while out in the field. Your charitable donation is being matched by the National Forest Foundation, so we can support a crew of six with this modest campaign. In 2017 our Wilderness Field Crew leaders begin in early April, so we need your support now to help complete our goal of funding this effort before our season begins. In the past six years, our crews have completed major projects across the south, and have put in tens of thousands of hours in service to wild places. From the high peaks of the Black Mountain Range to the depths of the Linville Gorge, our Wilderness Field Crews have been there – clearing downed trees that are blocking the trail, improving the trail tread to stop erosion or building new stone steps to support the hiker and the trail. It is thousands of trees, hundreds of miles and countless smiles! Your gift will make a difference for the wild! Your gift will make the difference in some young crew member’s life. Your gift will be valued and stewarded. Down to $2,600! Thanks everyone for making this crew happen in 2017. Share this loudly and widely and we will hit our goal by December 31st. Two-thirds of the way there. We can do this! We are closing in on half-way there. Let's keep up the momentum.